Regardless of whether people have health insurance, medical bills can pile up and create an enormous debt, especially when people may be living with chronic health conditions that need ongoing treatments. What can make matters worse from a financial standpoint is when the loss of a job, a divorce or some substantial expense compounds medical bill debt, making it extremely challenging for borrowers to make payments on their debt and to cover their monthly living costs. 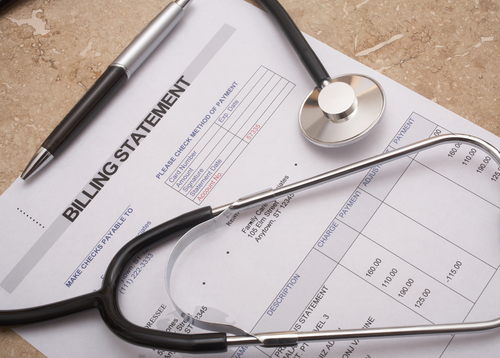 Medical bill relief can come through Chapter 7 bankruptcy, and Denver Bankruptcy Lawyer Arthur Lindquist-Kleissler can guide borrowers through the process. Medical debt is considered to be unsecured debt, which means that borrowers’ property (i.e., collateral) is not associated with this type of debt. As a result, when borrowers default on payments, creditors seeking payment on this debt can try to sue borrowers to force payment by attempting to get their wages garnished. Get all of their medical debt discharged (Additionally, credit card debt and some other debt can be discharged through a Chapter 7 case). Stop medical creditors from persistently calling (or contacting) them. Prevent creditors seeking payment of medical debt from suing them and trying to garnish their wages. They have to pass a “means test” in order to qualify for Chapter 7 bankruptcy. Some debt, like certain tax debt and student loans, will not be discharged; therefore, people will still be responsible for paying these debts after bankruptcy. Filing for Chapter 7 bankruptcy will have impacts on a person’s credit, so it’s important that borrowers are aware of what they need to do after filing for bankruptcy in order to get their credit back to a fair, good or better rating. If you are overwhelmed by medical bills or other debt, don’t let this debt continue to snowball or wait for creditors to garnish your wages. You can get a financial fresh start now by working with Denver Bankruptcy Lawyer Arthur Lindquist-Kleissler. He can help you figure out your best options for resolving your financial issues while helping you to maintain as much of your assets as possible. For more than 34 years, Mr. Lindquist-Kleissler and the other legal professionals at Lindquist-Kleissler & Company, LLC have been providing both individuals and businesses with the highest quality of legal services when it comes to debt relief and bankruptcy (including civil litigation matters associated with bankruptcy). While Mr. Lindquist-Kleissler can help borrowers file for bankruptcy and explore non-traditional options for debt relief, regardless of what borrowers choose to do, they can always trust Mr. Lindquist-Kleissler to help them achieve the best possible outcomes to their cases.